Schools are the perfect place to host a Big Lunch and holding one can help you strengthen your school community and achieve some of your targets. Those who hold a Big Lunch, will be making a positive contribution to their school or wider community. Taking part in the day will encourage children to actively participate in their school community, celebrate and understand the diversity on their doorstep and interact more with those around them. “This was a truly wonderful day, which brought our school community together.” Deborah, Inglewood Community Nursery and Infant School Big Lunch. 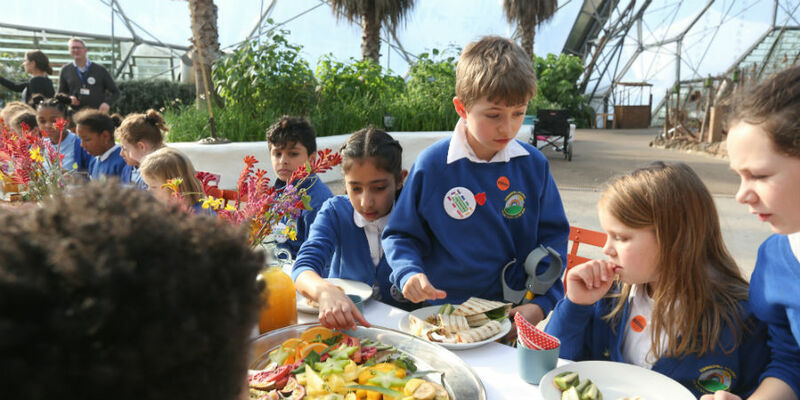 By backing the Big Lunch, you’ll also be working towards promoting positive values in schools. Getting children to interact more with others in their school or community could help them foster tolerance and respect for other people and their cultures. It could also provide the perfect opportunity for young people to take part in extra-curricular activity that promotes these fundamental values. A Big Lunch links with many other elements of the national curriculum and wider school aims, including; healthy eating, wellbeing, mental health and anti-bullying. The different ways in which children can get involved will give them a huge sense of enjoyment and achievement. Download our free toolkit for schools, which makes it really easy to spread the word online and through school newsletters and social media. Don’t forget to request your FREE Big Lunch pack, here and download a bit more information to pop up in your staff room.